ArticlesNitin Kumar Kajla – progressive farmer Meerut, Uttar Pradesh. 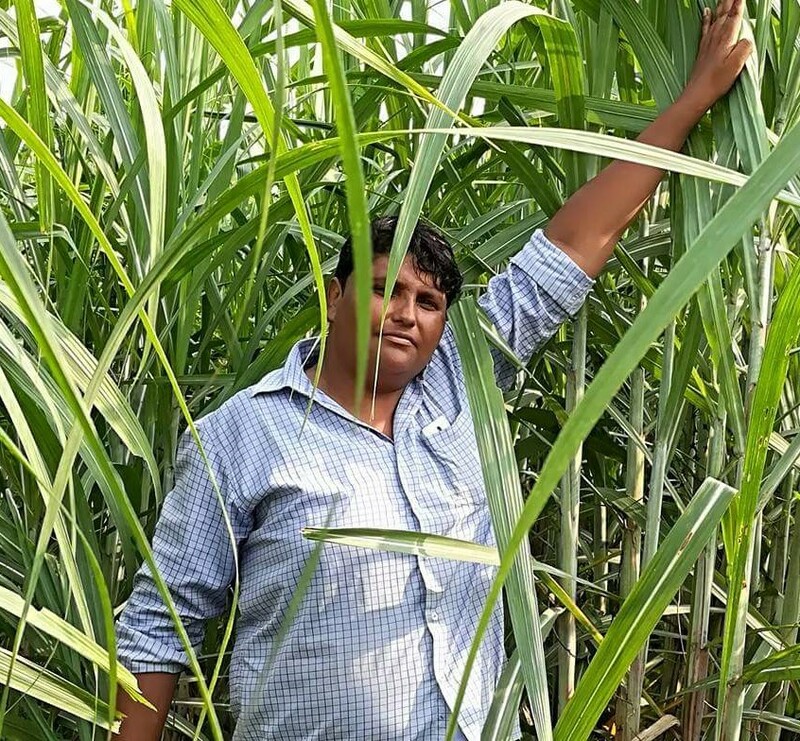 Nitin Kumar Kajla – progressive farmer Meerut, Uttar Pradesh. Farmers’ land is an open working laboratory to develop effective and efficient bio-solutions to increase the crop yield. One such laboratory belongs to Mr. Nitin Kumar Kajla. It is functional at Bhatipura village, Meerut, Uttar Pradesh. “There is no need for going to the market for purchasing agri inputs! Every single nutrient required by the soil and crops is available in the nature. We need to study the nutritive content of different parts of the plants meticulously and utilize it at the right place at the right time to get high production. For example, mango leaves contain boron, post-harvest banana tree waste is packed with phosphorus and so on. Do the soil testing to identify the nutritive content and give bio solutions made from these natural ingredients to fulfill the deficiency. Further, desi breed cow is a must have in the farm. With balance nutrition fed in the soil it surely will become fertile and resistant to disease and pest attack consequently the farm production will increase,” assures Mr. Nitin Kumar Kajla. In his 3 acres farm multiple crops are cultivated organically. Sugarcane is the main crop. Entire farm produce is processed in-house and sold to end consumers through direct sales. All agri-inputs are prepared on the farm using the dung and urine of desi cows and other natural ingredients. Three cows on the farm are mix of desi breed Sahiwal and Rathi. “As my farm is independent from market the production cost is almost zero. In addition, I grow different varieties of crops because every crop leaves back distinct mineral or nutrient in the soil. I do all the farm activities myself with assistance of one full-time companion. As a result, the net profit is Rs. 2-2.5 lakhs/acre/annum. Now, tell me, is farming a loss-making venture?” he questions back! Mr. Kajla left his well-paying job in a pharmaceutical multinational company to become farmer. Being born and brought-up in the village since childhood, he was inclined towards farming. However, as per the Indian scenario his family wanted him to be away from agriculture instead work in corporate world. Mr. Kajla did obey his family, worked hard and climbed the ladder of success to have reached the position of General Manager in Pfizer multinational company. “Corporate life was fine but my interest towards farming was insuppressible. Further, we all colleagues used to do a healthy discussion on harmful effects of medicines on human life and nature. They always motivated me to do chemical free farming as I had the farmland back in the village. Then I thought, farm income was anyways marginal so I can experiment with organic farming methodology. To know the process and intricacies of chemical free farming I started visiting organic farms and underwent training sessions conducted by renowned farmers such as Subhash ji Palekar,” he shares. After Mr. Kajla was confident to do farming, he shared his thoughts with his family on doing organic farming. They unwillingly gave him half acre of farmland. He appointed one person to look after the half-acre farm and returned to the city for continuing the job. Desi seeds were procured from Madhya Pradesh and cultivation was done. He used to give daily instructions to the appointed person and monitored the farm virtually but the production was extremely low! “As my first experiment failed, family questioned me about the results of organic farming but undeterred I did self-analysis to know ‘what went wrong’! I could conclude that the schedule of activities instructed were not followed that is why yield was poor. Then determined to get it through, I prepared one back-up fund and resigned from the job on 31st March 2015. On my return, I grew moong organically on 1 acre. As I was doing cultivation myself and monitoring the farm myself, I started getting the results. The production was good,” he adds. Having worked in marketing department Mr. Kajla knew direct sales is the only way out to earn higher profits. To set up his customer network, samples of moong were distributed within the village. As the taste of moong was excellent hence, entire produce was sold-off. “It gave me the much awaited confidence boost and in addition quality and quantity of the farm produce began improving consistently as the soil was nurtured only with desi cow based agri inputs,” he states. The next crop grown was paddy, then wheat intercropped with mustard, wheat with multiple legumes so that the soil gets natural green manure and so on. Direct sale is indeed profitable but it requires more varieties. “I have divided entire farm into small areas for growing multiple crops as I need less quantity and more varieties for direct sales. To grow different crops, I did series of experiments on my own and took production assistance from SAKET. Consequently, many new different combinations of intercrops were identified such as garlic and moong grown as intercrops with sugarcane. Intercrops helps in providing more product varieties to my customers,” he highlights. 3 acres’ farm is nourished with desi cow based farming inputs and leaves’ extracts and powder of different trees mixed in diverse liquid sprays. Crop failure is minimum with use of various formulations. 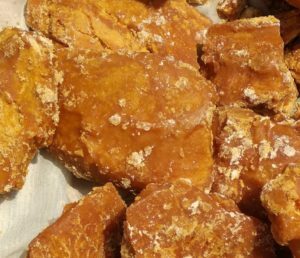 Last year jaggery production was 22-25 quintal. It was sold at Rs. 100/kg. Entire stock was sold within no time yet the demand was left unattended. This year plan is to increase the production to 50 quintal. Mr. Kajla suffered two major setbacks last year with the demise of his mother and elder brother. “My brother died due to lung cancer. He too was a farmer. He used to apply excessive chemical fertilizers and pesticides in the farm. He never paid any attention to my words, and we lost him! Now apart from managing his 3 acres farm I have taken additional responsibility to spread awareness on adverse after-effects of using chemical agri inputs in the farm and encouraging the farmers to turn organic thus I am committed one hundred percent towards SAKET,” he insists. 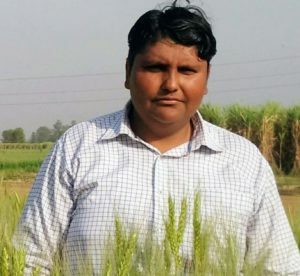 In future Mr. Kajla wants to develop many more intercrops combinations and want to revolutionize organic farming through training workshops conducted by SAKET organization. “We also want to organize ‘Organic Bazaars’ in residential localities balancing the demand-supply ratio of all agri products so that every farmer earns well lives dignified and respected life,” he signs out.